· Tips & advice for CUNY undergrad drop-out to re-enroll? · Hepatitis C, new "Mayvret": NYC doctors, clinics? · Anyone affected by curtailed subway service on M line? Tips? 13th-Feb-2019 06:36 am - Tips & advice for CUNY undergrad drop-out to re-enroll? Any recent CUNY undergraduates - whether currently enrolled, or recently graduated - with tips, advice, opinions, etc. to a drop-out who wants to re-enroll as a matriculated student, PART-TIME? Whichever schools, or campuses you have attended (past or present), I would love your feedback about campus access and services as well as your own general thoughts about academics and your own experiences. Though I'd love any thoughts, I prefer anyone with very recent (as in current, to about three years) actual enrolled experience and understanding so I have a good sense of current expectations and protocols. ALSO: If you are also either current faculty, a parent / guardian, or other of a current/recent student, would LOVE your feedback as well! FYI I am now old in my mid-50s, on full disability (thus low-income, fixed income), but want to be more functional and access various academic and city resources. Oh, yes, I would like to get the cobwebs out of my brain too, maybe even get specific work related skills where my age is not a serious deterrent. I can hope, right? I had last dropped out ten years ago, with about 30 accumulated credits. I am not too concerned about which school to choose at this point, though I prefer ones I can get to easily by subway (commuting issues of course); big bonus for Manhattan campuses for sheer convenience, but not necessary. I'll know my re-application etc. process will weed me out as necessary. My primary concerns is a campus with a lot of academic support services (tutoring and academic guidance, flexible library access, etc.) so that as a part-time student, I can spend a lot of my other time getting my academic skills up to date. I have a hope of later being a full-time student in a subsequent semester, but I am starting as a part-time student first. For the first semester (or two), my main focus is getting my basic academic skills up-to-date (reading, writing, and research, etc.) as well as having a sense of current academic culture, campus resources, etc. I know my math and science is very rusty so I am leaning towards a general liberals arts focus until I know where I stand academically. I am open to either the two-year (community colleges) or four-year schools, as I suspect I will at least change my initial program, or transfer later once I have regained my academic bearings. Also I don't have much interest in social, or not strictly academic types of activities, or social clubs, at least for the first semester. Certainly I am sure things have change in the 35-40 years since I was a NYC public high school student. Yes, I am sure this is a gross understatement. Note over the last 30 years or so, I had been accepted at (among others) Hunter College, Queens College, and others, but not necessarily interested in the initial majors / degrees I had once selected. INCIDENTALLY, ABOUT COMPUTER, HARDWARE, SOFTWARE REQUIREMENTS: I use an old home PC computer for almost all of my online access and reading and recently upgraded my online access. What are the current technical (computer, etc.) expectations for incoming undergrads at this point? How do students find acceptable equipment or discounts on required, or recommended equipment and access? Also I am concerned that when/if I transfer or change campuses, whether such equipment would be likely to be accessible, no matter which CUNY campus I attend. Anyone interested and able, I'd love to chat (or message) to and fro on the issue, if inclined. 21st-Nov-2018 01:23 pm - NYC: Happy Thanksgiving 2018! Hope anyone still here will have a great Happy Thanksgiving this 2018! Weather going to be chilly (below 32°F all day and night) here in New York City, but as far as I can tell from the latest weather forecast, there won't be any snow. Care to share your plans, ongoings, or other for this Thanksgiving, in NYC or otherwise? Please comment, or post if you want. Me and all the crickets will be eager to hear from you. Meanwhle, one thing I have in my plans for the day is one old tradition a few of my acquaintances etc. do on Thanksgiving, no matter where we are, is listening to this 18-minute Arlo Guthrie classic from 1967, "Alice's Restaurant." Wait, what, you have NEVER heard of the Alice's Restaurant Massacree??? It was based on a true, too true, bizarrely true (and HILARIOUS!) genuinely true incident that occurred to the singer-songwriter, Arlo Guthrie, Thanksgiving Day 1965. Don't take my word for it, read this Vox article about the history of this notably American song. The true story behind Arlo Guthrie’s Thanksgiving staple, "Alice’s Restaurant"
With four-part harmony and feeling. After reading the above, if you like to listen (and folow via lyrics), here's a link. 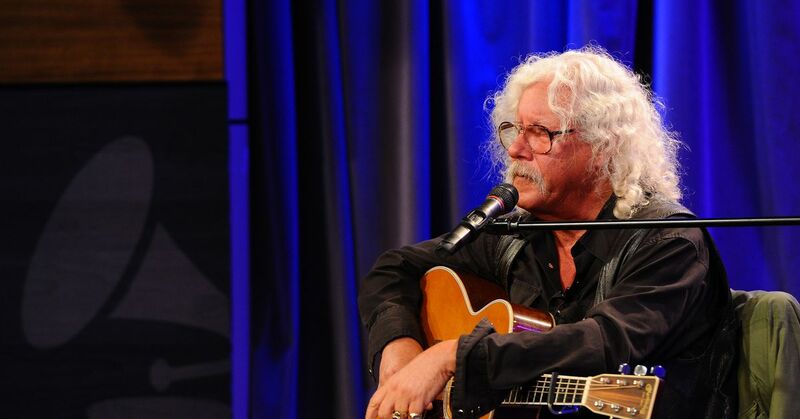 Incidentally, Arlo Guthrie is a native New Yorker, born in Coney Island (Brooklyn), New York on July 10, 1947. He wrote and performed "Alice's Restaurant" when he was 20-years-old, but the incident on which it was based was when he was just 18. 4th-Sep-2018 01:42 pm - Travel time to midtown from Brooklyn? If anyone still follows this, can anyone tell me a reasonable time estimate for taking either a Lyft / Uber from Bushwick to the east 58 Street area for a 10:00 AM appointment? My friend needs some help (assistance) to get to an appointment tomorrow morning. We can arrive early, but really trying to NOT be late. Not sure if we will end up taking a downtown bridge, the Midtown Tunnel, or 59 Street Bridge, but time estimates and related tips appreciated. UPDATED September 25, 2018: Forgot to update, but here's information weeks later. We scheduled a pick up that was just a bit over an hour to our appt. The estimated ETA according to the app was about 25-30 minutes, but it took 45 minutes to get to a location three blocks from our appointment. My friend and I opted to get off three blocks from our location and walk, as we believed (due to traffic patterns in that area), it would have taken us 10-15 minutes (most likely the longer time, 15 minutes) to get to our appointment because of one way traffic patterns, stop lights, etc. It took us 5 minutes to walk from the drop-off three blocks away and we just barely made it to appt. on time. Thus the Uber / Lyft time estimates are NOT based on actual, real-time traffic patterns so please factor this in. We're glad we overestimated the time just in case. 4th-Apr-2018 12:01 pm - Pointers for depression counseling , help in NYC? Hi New Yorkers, would love direct, or personal recommendations as well as feedback. I know I can call 311 for clinic referrals, but I would like personal input if possible. Recent months since this winter, I have been worried about a late 20's young friend (distant relative) that has become close to me in recent years. He's has all the usual job and financial issues as well as often social aspects (he is usually all of his friends' support, not the other way around). He used to party a lot (drinking, dabbled in drugs), but less so in the last 1-2 years. Lately, his job has cut hours and he has been much less active, sleeping a lot, etc. He can just cover his rent (room share). He denies being depressed, but I think this is standard for a lot of guys who don't think they are depressed, just "moody" sometimes. He tells me he is not drinking, or doing drugs at this point (I hope so, but I am not good with figuring out that stuff). Also he is a creative, artistic type, unconventional in a lot of ways, but tends to be very independent as well. I am worried about him and feeling helpless, not sure if there is anything I can do if he isn't showing urgent depression, just life changes so far. Would love any advice, personal stories, as well as recommendations for counseling and therapy. Happy Holidays to whoever is still around here! Over the next two weeks, I might hang out with an old friend or two, but it may be somewhat spontaneous. Will want to shoot the breeze over some food, but the main problem is a cheap joint to eat and relax. Would appreciate suggestions for general cheap diners, coffee shops, various ethnic food establishments, and miscellaneous dive joints where we can sit and chat for 1-2 hours without a hassle. 14th-Nov-2017 11:43 am - Any residential FIOS users here can share their experiences? If you are a local NYC resident and use FIOS or other ISP and/or non-cellular telephone service (landline, fiber optic, or other), please share your experiences. Users of STANDALONE services or COMBO packages, please respond as well. Currently, I do not have FIOS (you know the company, I'm sure). After years of having landline and ISP access, is requiring all landline telephone customers to change over as they will discontinue service over old-fashioned POTS (analogue) lines. Every time I call, the CSR immediately launches into a high pressure sales tactics to change over to their complete package (fiber optic etc.) including television. I ended up hanging up on them a couple of times because they kept ignoring my questions and changing the topic back to that. It has actually gone from simply sales tactics, to outright bullying. In general, I've read online that the company has had a sketchy customer service etc. history and not sure if there is any improvement. I have not been able to find a viable alternative for me. I am on disability and the package deal is good, except they have made me unbelievably wary and suspicious if I will be stuck with something I'll regret, in lieu of other options. FYI my neighborhood is southern Queens, right by the "M" train. 6th-Oct-2017 09:55 am - Hepatitis C, new "Mayvret": NYC doctors, clinics? Does anyone know of various NYC clinic or hospital settings that are offering this new treatment and taking new patients? This person obviously needs full exam, tests, and assessment. Just curious also if anyone knows if there may be waiting lists at this point for this new Mayvret treatment. I know someone who is on Medicaid and has Hepatitis C Virus. Previously they have had compliance issues with going to doctors and clinics since they are generally suspicious and paranoid, but sometimes has been willing to get treatment for some limited conditions. Previously, they were pessimistic about getting treatment for HCV; unfortunately I don't know which HCV genotype they have, which is why I am happy to read in the article that this treatment apparently can treat all known genotypes. 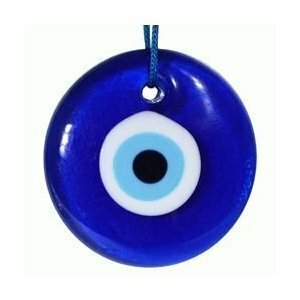 3rd-Sep-2017 04:30 pm - Where to find blue, glass amulet charm in NYC? Does anyone know where to get these good luck charms? A friend lost his; it had sentimental value as well. He wore it as a pendant (it had a small hole for a string, or chain). Real glass, not plastic; I finally found plastic ones in a discount store. Also his was very small, roughly half-inch in diameter. Most of the ones I see online are much bigger, one inch or more. Big plus if you know if the vendor/seller actually gets them from the Mediterranean region. 1st-Jul-2017 09:47 am - Anyone affected by curtailed subway service on M line? Tips? For those who live, work, or frequent the area on the M train line being affected by the upcoming changes, can you share what tips or strategies you will use to get by? I know there's a shuttle bus, but it sounds like there are problems or limitations - not really sure, would love input. The Children's Aid Society's Preventive Services Program serves 300 families in Upper Manhattan and the Bronx who are experiencing hardships due to trauma, domestic violence and poverty which places children at risk. When a family functions well, children do better. That’s the fundamental tenet of the Preventive Services Programs at The Children’s Aid Society. In existence since 1981, they provide an array of family-focused interventions that help enhance family relationships and alleviate stressors to improve child safety. 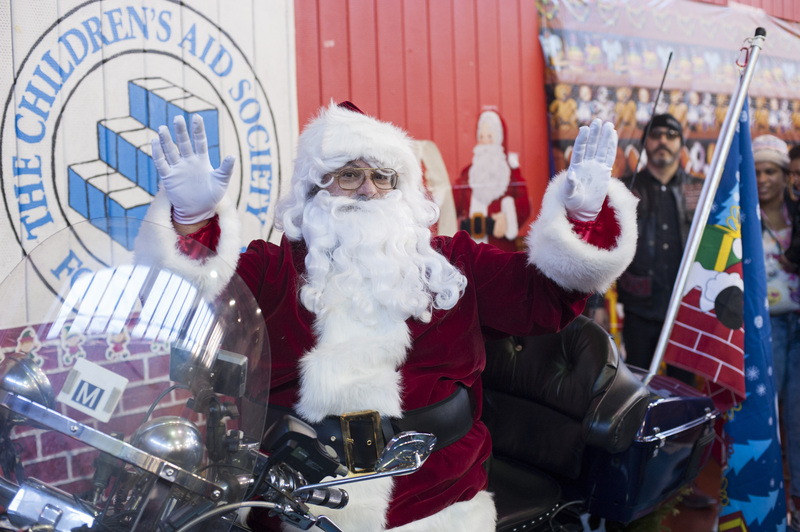 along with their partners Harley- Davidson of New York City, Hogs & Heifers Saloon and the The Iron Horse NYC are working to bring some holiday cheer to some of New York's neediest. Continuing a longstanding tradition The Gary R Murano Memorial Toys for Tots Motorcycle Run will bring toys to the Children's Aid Society. We are trying to raise enough money to purchase toys, games and gift cards for teens (e.g. Itunes, GameStop, The Gap) to give to the kids at our annual holiday Toys for Tots Motorcycle Run. Our Toy Run is Sunday December 4th! The opportunity to bring a little cheer to these kids, to see them smile, the twinkle in their eye when they sit on Santa's Harley-Davidson motorcycle is just amazing. If you can't PLEASE share this link on all social media, with family, friendsm etc. AND THANK YOU TOO!